The cellar owns 135 Hectares of vineyards: 90% Tinta del País and 10% Cabernet Sauvignon. 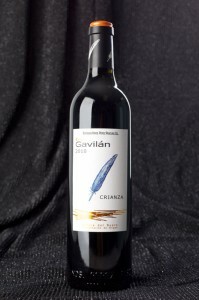 Today, “CEPA GAVILÁN”, “FINCA LA NAVILLA”, “VIÑA PEDROSA” and “PEREZ PASCUAS”-GRAN SELECCIÓN- are exported to over 35 countries, accounting for 40% of production. Pérez Pascuas Gran Selección 2011 wine has got 100 points in Guía Vivir EL Vino 2017 being considered Best Red Wine in Spain 2017. “It is pure elegance from the beginning to the end. A never-ending finish. A real masterpiece” said Raul Serrano, winetasting director of Guía Vivir El Vino. Benjamín Pérez Pascuas, in the name of Bodegas Hnos. Pérez Pascuas collected the award. “It is a prize to an style of grapegrowing and winemaking. Its personality is unmistakable. It is a pure and real terroir wine. Harvest 2011 is one of the best vintages I have ever known in my 85 years of life. 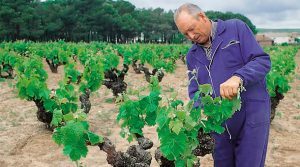 Pérez Pascuas Gran Selección 2011 can be stored over the next 25 years”, stated Benjamín Pérez Pascuas.